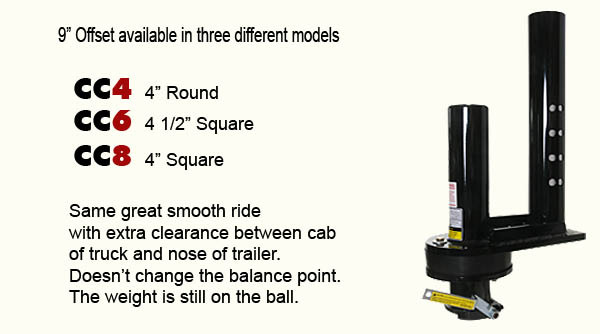 Cody Cushion air bag ball improves road impact on your trailer. 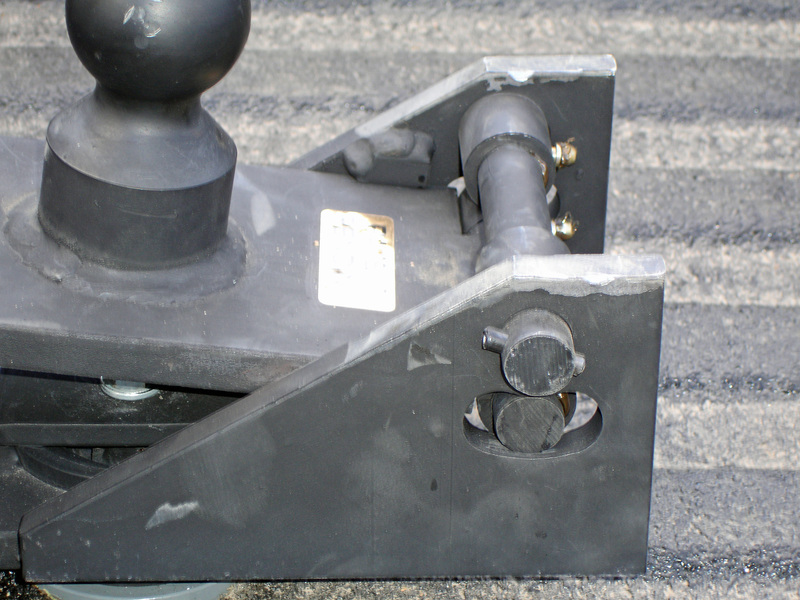 Popup Cushion Coupler absorbs shock between your truck and trailer. 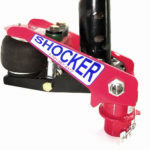 Shocker Hitch for receiver hitches and gooseneck. 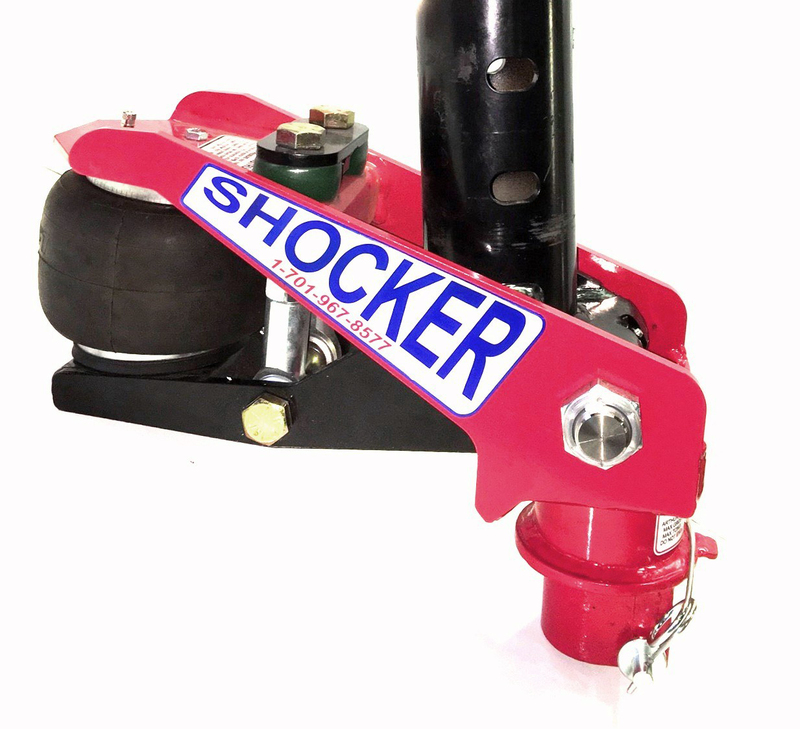 Cody gooseneck cushion, Shocker Hitch, Popup CC2 Cushion and the New Gen-Y Gooseneck Torsion improves trailer ride. 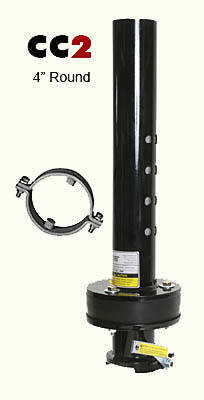 Gooseneck Cushion Couplers to protect your trailer. 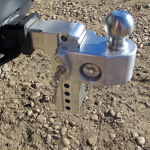 Take the jerk out of stopping and starting with a trailer and improve the overall ride. Your horse will thank you and the hay will stay on the trailer. 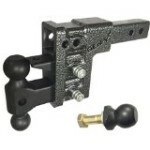 Gen-y Bumper pull adjustable receiver hitch and torsion receiver hitch. Click…. 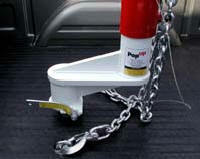 Protect your Living Quarters gooseneck investment in your horse trailer. 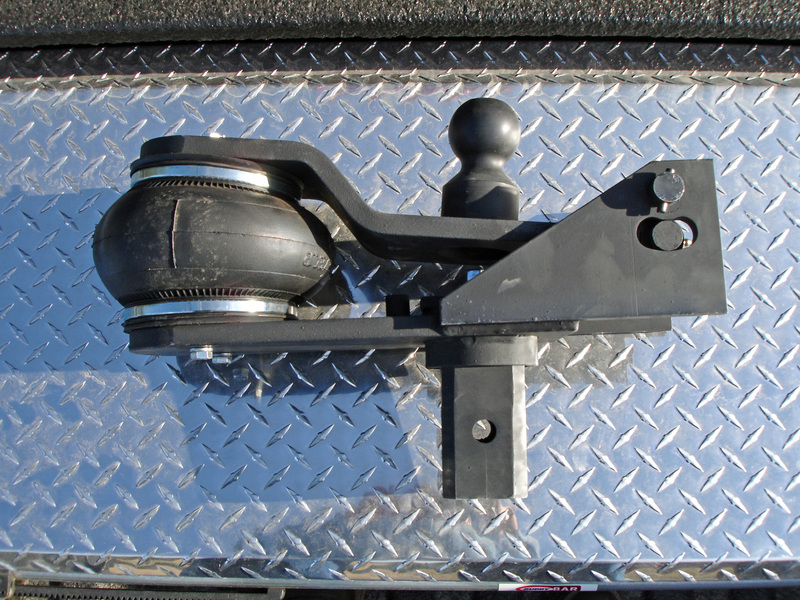 Cody Cushion from Cody Hitch has one air bag, and a double hinge. Up and down and front and back cushion. 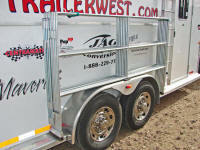 With today’s Living Quarter horse trailers, you need protection for the fine cabinets and mirrors. This winter in Colorado, made record potholes. Can you imagine the impact in the neck of your trailer over each hole. 4500 lb. 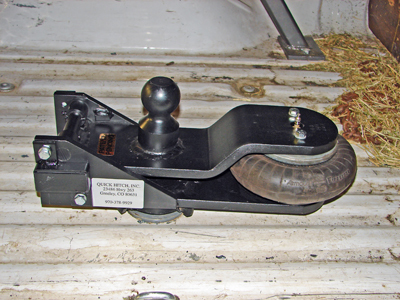 tongue weight rating, 30,000 lb trailer rating. It’s hard to measure just by feel, but you can notice a difference in stopping and starting. I pulled a 4 horse Logan Coach gooseneck from Logan Utah to Denver. I could tell when I took off with the trailer, that the Cody Cushion took most of the starting jerk away. Cody takes the jerk out of your trailer ride, starting and stopping, and smooth across railroad tracks. 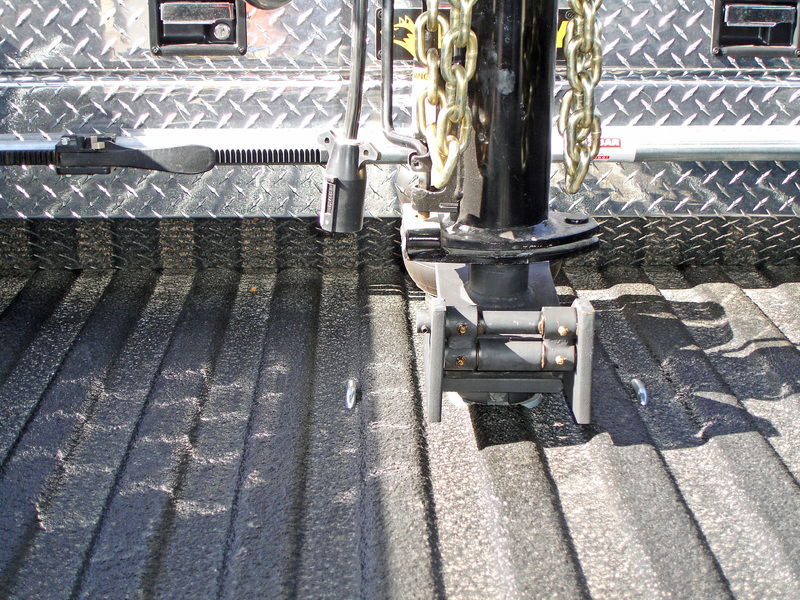 Having the gooseneck cushion in your truck bed, lets you use it on all your gooseneck trailers. 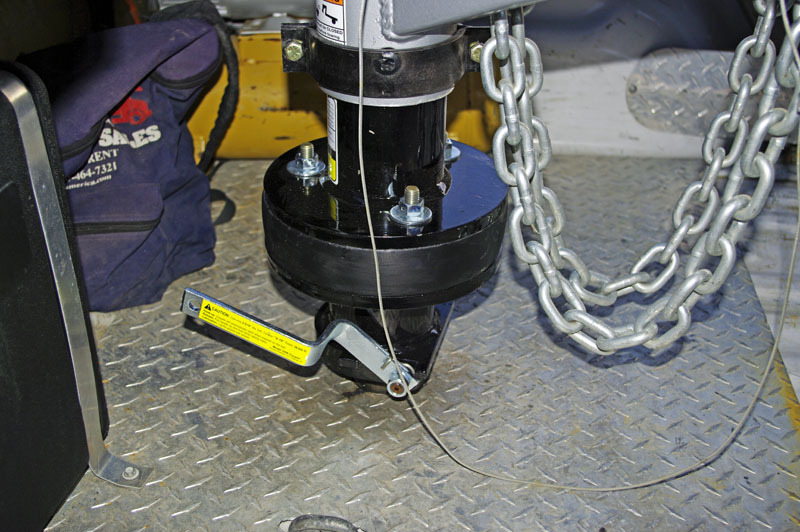 You insert the Cody Cushion in the ball socket of your gooseneck hitch. 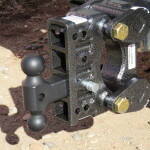 You can easily adapt the Cody Cushion to Cody Hitch, B&W and Popup truck bed hitches. 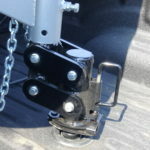 Trip your hitch latch to secure Cody Cushion in your truck bed hitch, air it up so the air bag arms are parallel and you’re ready to go. 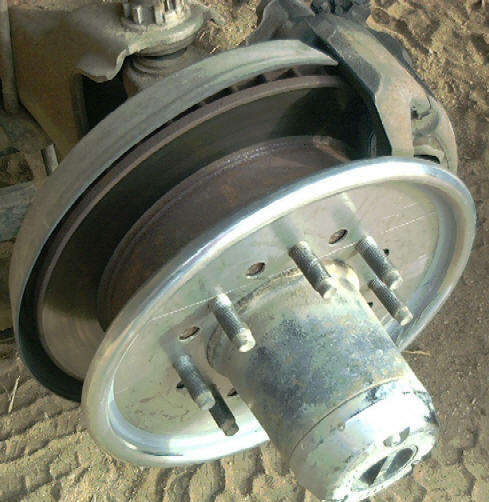 Even if the air bag fails or leaks, there are stops to keep the ball from dropping too low and metal stops so the air bag doesn’t overinflate. 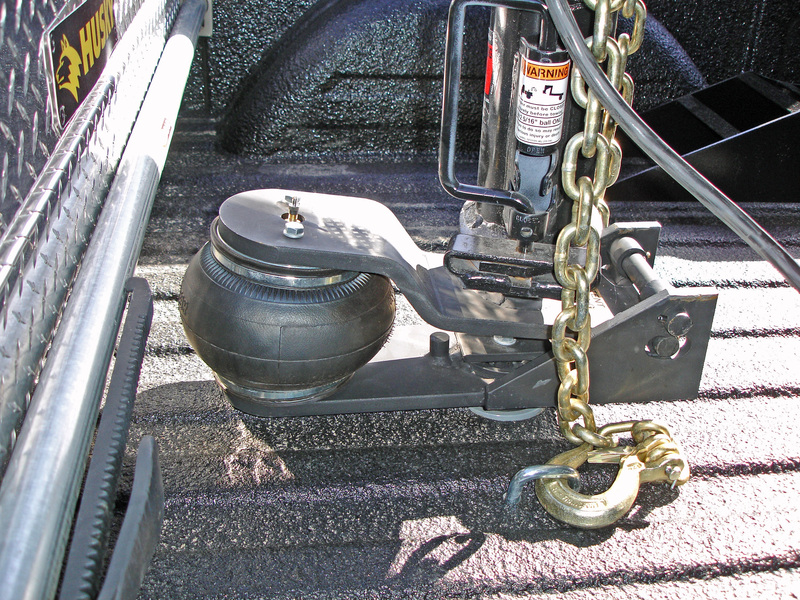 Semi trucks have air axles, air cabs and air seats, why not have an air gooseneck..
First picture is the rubber encasement on the double hinge to prevent too much forward and back movement. 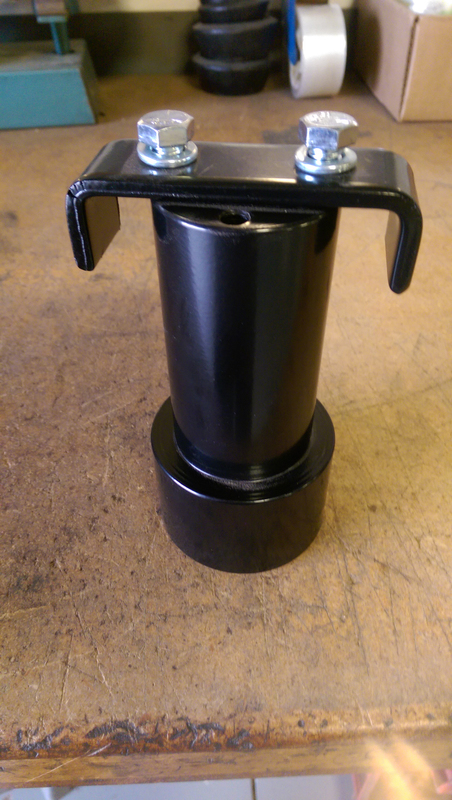 Here is the steel stop so the ball can’t drop too far if it looses air. It’s a reliable system with backups. 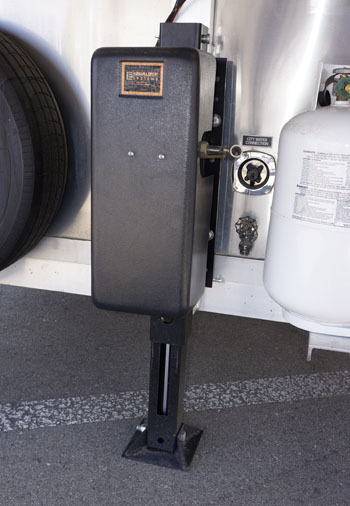 Double hinge gives Cody Cushion the ability to take the shock from the trailer and not transfer it to the truck. 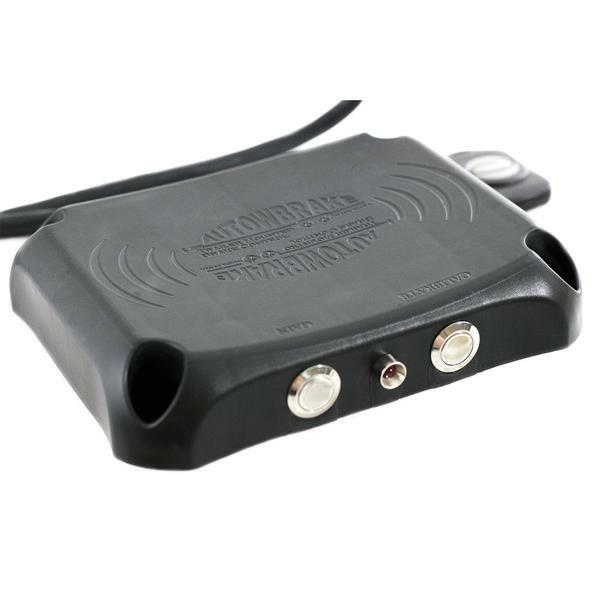 The unique Cody Cushion lets you enjoy the ride qualities of an expensive air ride system like the big rigs. Increasing driver comfort by ironing out road seams and bumps isn’t the only advantage of the Cody Cushion. 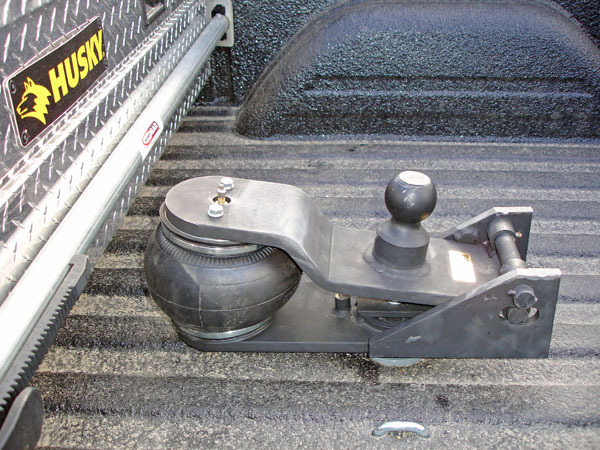 By smoothing the hammering action between the trailer and hitch, the air cushion ride saves wear and tear on your tow vehicle, trailer, load, and the hitch itself. 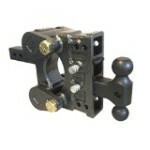 Popup Gooseneck Cushion, Coupler for your Trailer. 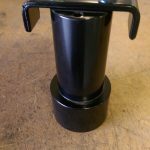 New Cushion Coupler, more cushion, less space!! 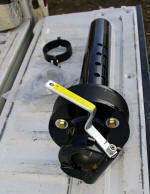 Pulling a trailer with this coupler is like riding on a cloud. 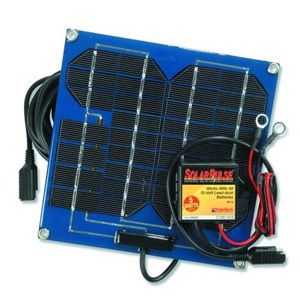 It absorbs up to 59% of the bumps, jolts and jars that make towing hard on you, hard on your cargo and hard on your equipment.Living Quarters horse trailers really need this to save bedroom cabinets. 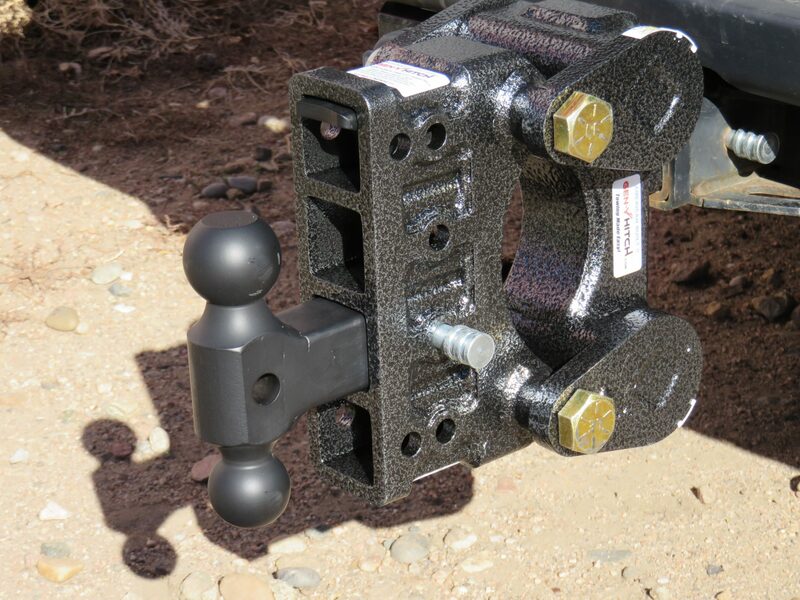 Simply swap it out with the coupler on your gooseneck now – and, Walla! Instant gratification. Trailers keep getting larger with more weight on your truck. 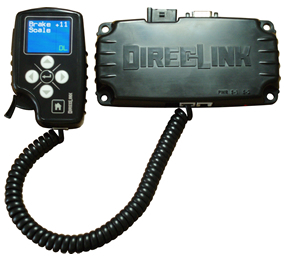 You need a buffer between your truck and trailer.